You are here: Home / Bulletin / Bulletin / High School Notices / High School Lip Syncing Competition! High School Lip Syncing Competition! Much fun was had on the last day of Term 2! Teachers & students in the high school came together to enjoy a Lip Syncing Competition. We saw Lizzie, dressed in Geri Haliwell outfit & blonde wig, very convincingly, lip sync to ‘It’s Raining Men’. She had many men (teachers and students) on stage to accompany her, and got them all doing a conga line off stage! Malcolm, Andy, Ric, Peter, & James dressed up as The Village People, and had the crowd smiling with their lip sync to ‘YMCA’. Many student groups dressed up and entertained the audience with their lip syncing renditions, but in the end, it was ‘Athens House’ (pictured below) who took out the prize for the 2016 CBRSS Lip Syncing Competion! 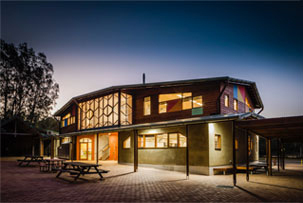 http://capebyronsteiner.nsw.edu.au/wp-content/uploads/2015/12/CBRSSwebheaderlogo.png 0 0 Jon Dugdale http://capebyronsteiner.nsw.edu.au/wp-content/uploads/2015/12/CBRSSwebheaderlogo.png Jon Dugdale2016-07-03 10:40:272016-07-03 10:40:27High School Lip Syncing Competition! 2016 Spring Fair Raffle and Silent Auction Year 10 Engineering Challenge success!